Cellist and SAW faculty member, Stefan Kartman, will be featured on an upcoming concert with the Festival City Symphony, performing the Beethoven Triple Concerto along with pianist Jeannie Yu and violinist Robin Petzold. 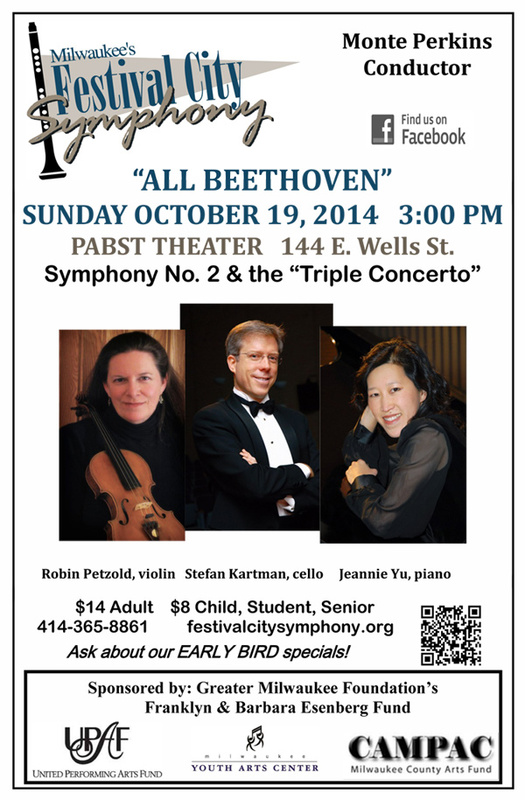 The concert will take place at the historic Pabst Theater in downtown Milwaukee on Sunday, October 19th, 2014, at 3:00 p.m. Also performing in the orchestra will be SAW faculty Katherine Brooks and office administrator Heidi Knudsen. For more information, visit www.festivalcitysymphony.org.